Throughout his 15+ years in software development, Bernd has helped automating highly scalable core workflows at global companies including T-Mobile, Lufthansa and Zalando. 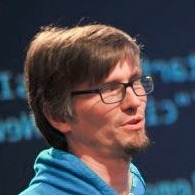 He has contributed to various open source workflow engines. He is a co-founder and developer advocate of Camunda, an open source software company reinventing workflow automation. Bernd co-authored "Real-Life BPMN", a popular book about workflow modeling and automation, now in its fifth edition and available in English, German and Spanish. He regularly speaks at conferences and writes for various magazines. He is currently focused on new workflow automation paradigms that fit into modern architectures around distributed systems, microservices, domain-driven design, event-driven architecture and reactive systems.